My car was due an annual service this week so I popped over to the workshop of Ed Blasi – a factory trained tech with over 20 years of experience with the marque (more info on my list of recommended companies within the Ferrari community). 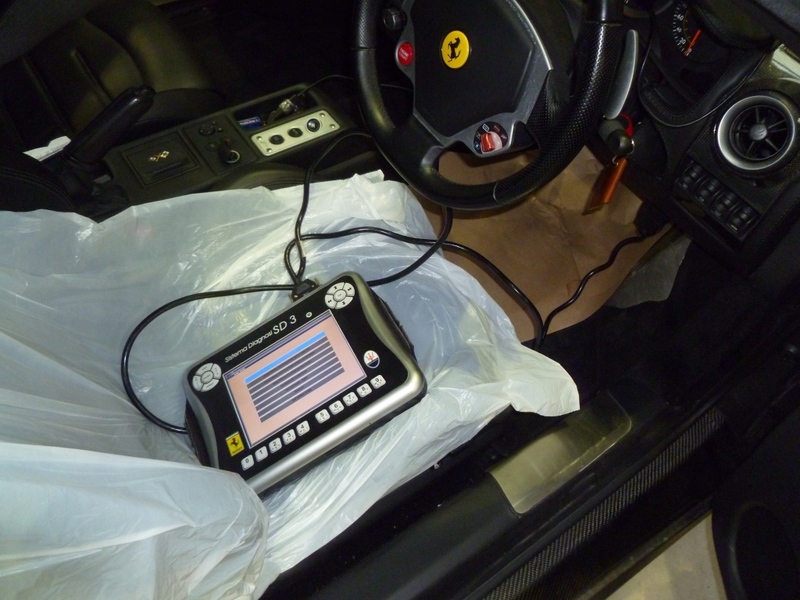 The service was started by plugging the SD3 into the car to check for error codes and to read the parameters stored on the control units in the car. Interestingly, the clutch wear had dropped to 17% from 19% the last time I read it back in November! 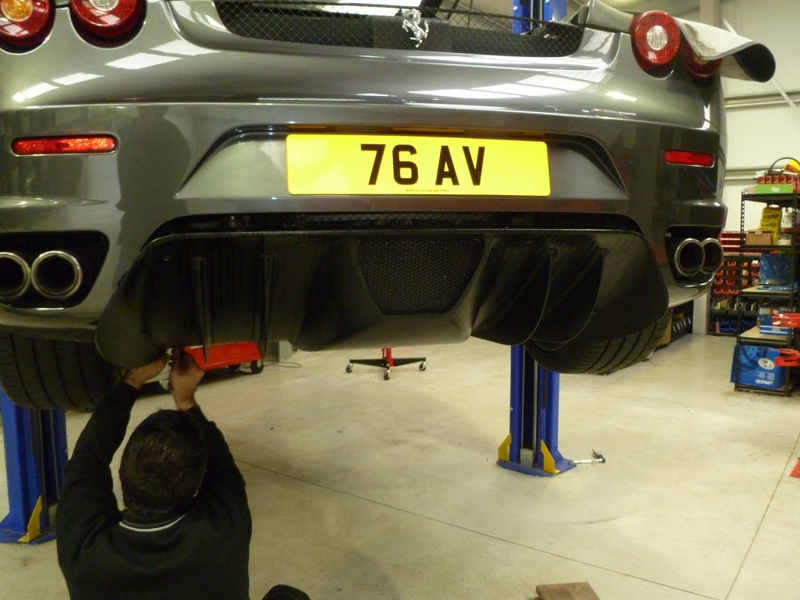 Next was to take the diffuser and rear undertray off. 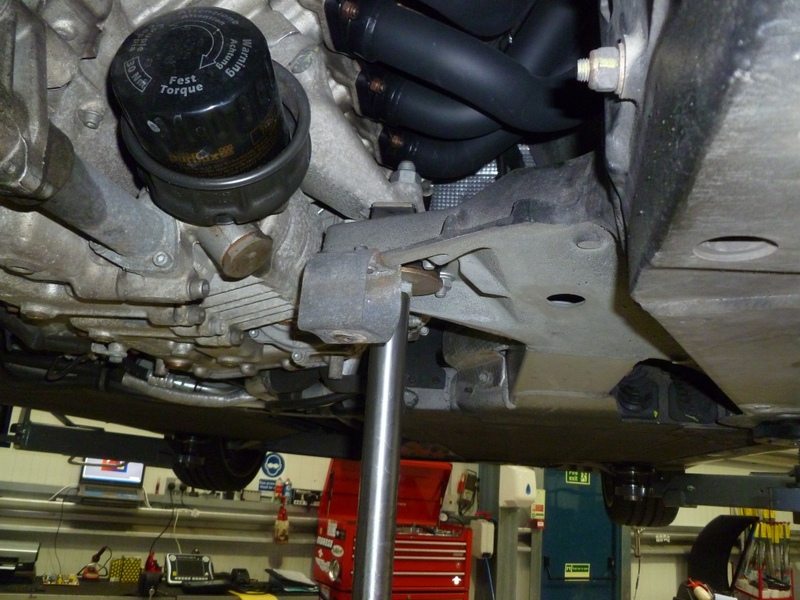 Next was to visually check the condition of the gearbox mounting bush and test the engine mounts for wear. This is done by lifting the mount with a transmission jack and checking the rubber for damage. 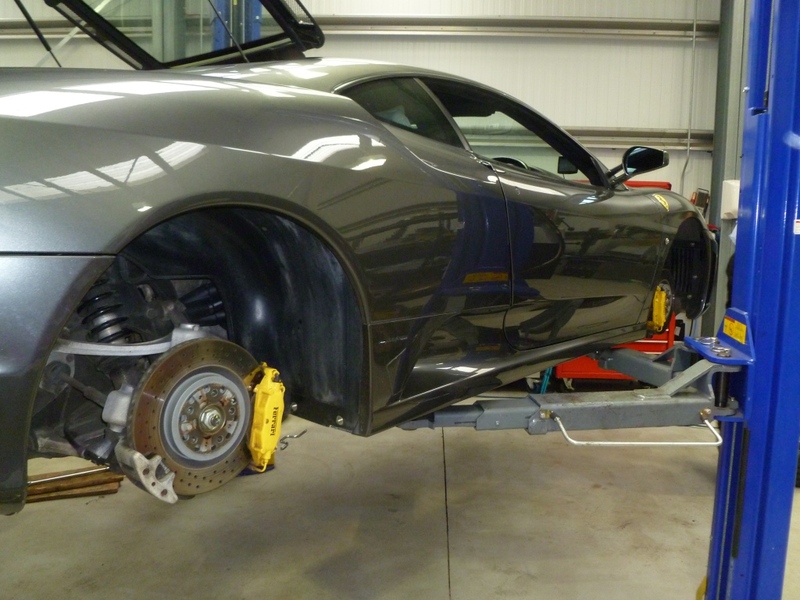 Next up was to remove the road wheels in order the check the suspension. Whilst this was happening, the apprentice took the wheels away to the valeting bay to have the insides cleaned (the outsides would be clean during the service wash later). 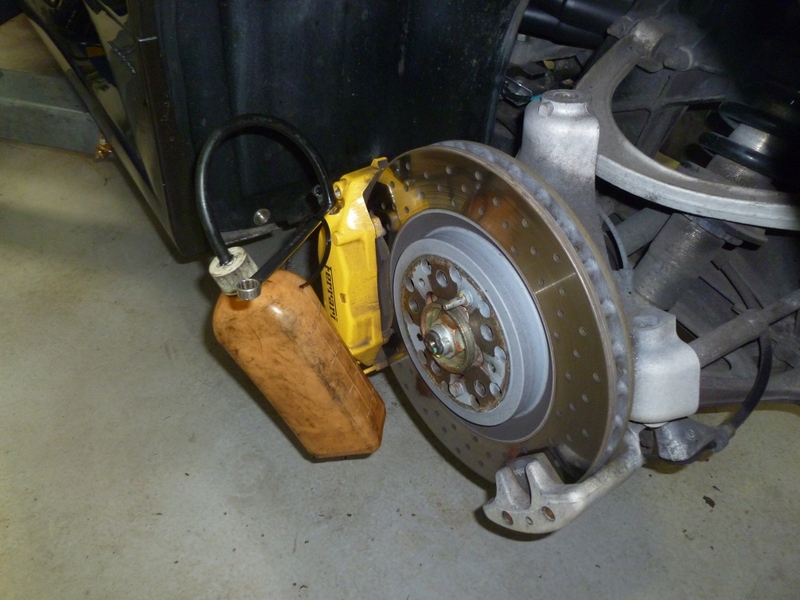 The track rod ends can be tested by rocking the hub between 3 and 9 o’clock. 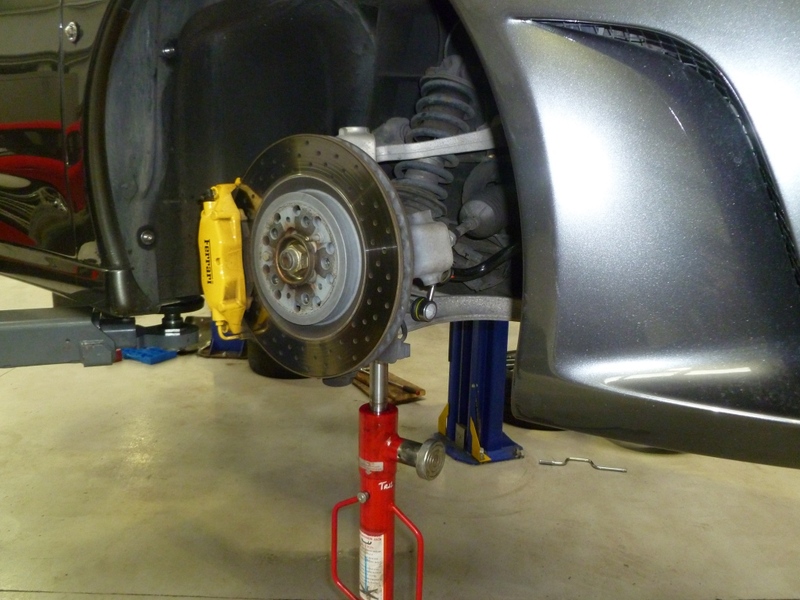 The ball joints are tested by lifting the lower wishbone slightly with a transmission jack and using a pry bar to check for movement. Fearing the worst, we checked the fluid for water content. Thankfully, the tester was flashing between green and the first amber so the risk of water damage in the system was low. About 1 litre was taken through each of the rear brake lines and a 1/2 litre through each front. This is what the fluid is supposed to look like! 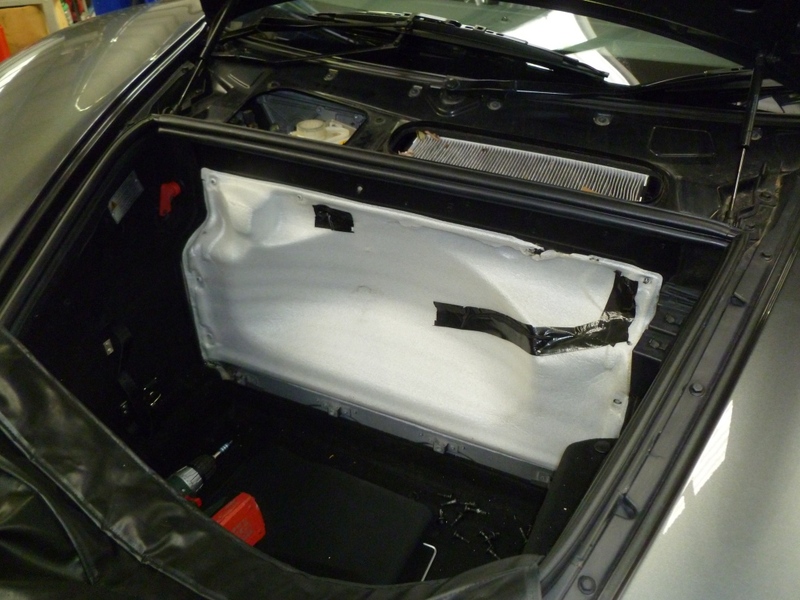 Whilst we were at the front end of the car the carpet was removed and the vapour barrier cut to check the condition of the air-con dryer and the ABS/ASR unit. The barrier was sealed back up with tape. The pollen filter was changed. 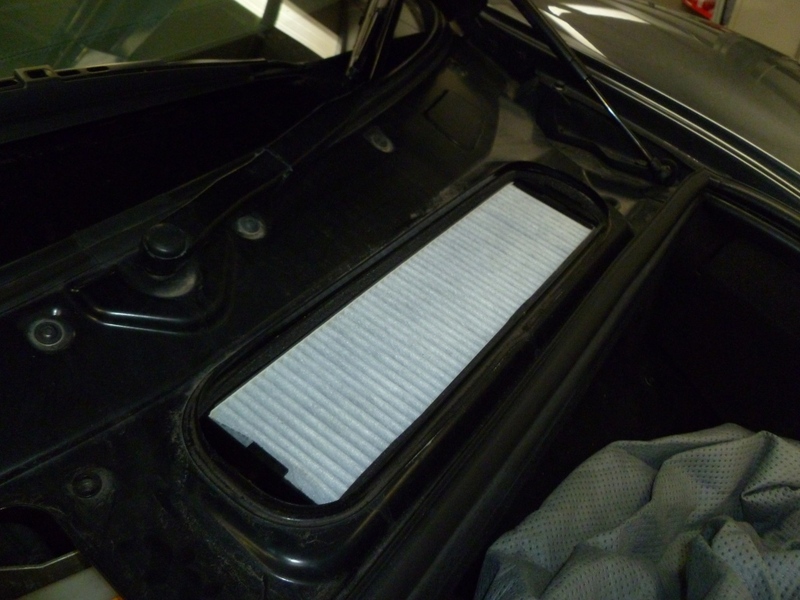 I elected to put in a pattern part since it is only filtering the air that comes into the car. The pattern part was cheaper and also carbon activated. 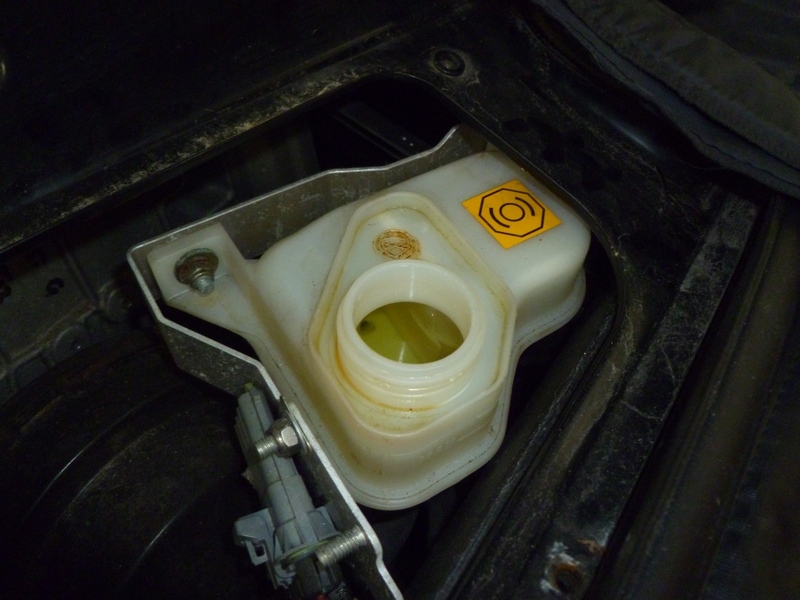 They can be bought from Eurocarparts for £16.50 – part number 507580420. 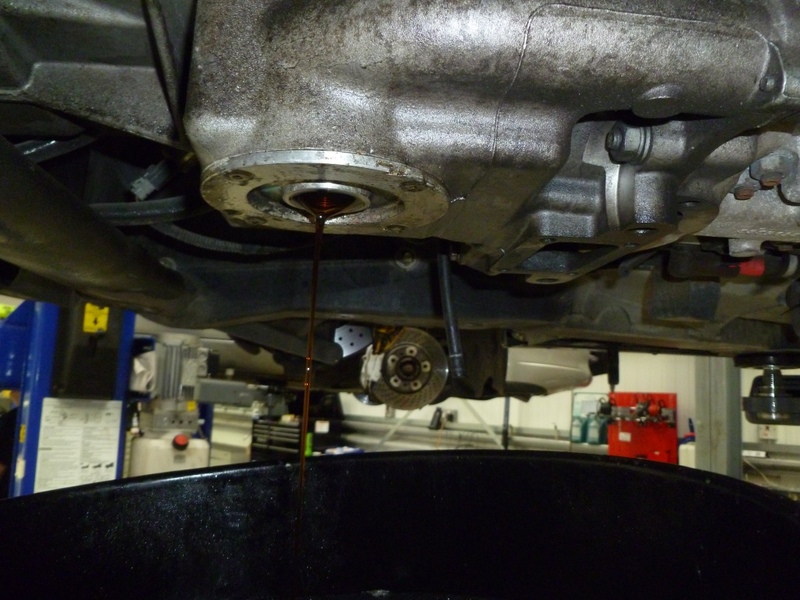 Next the engine oil was drained. 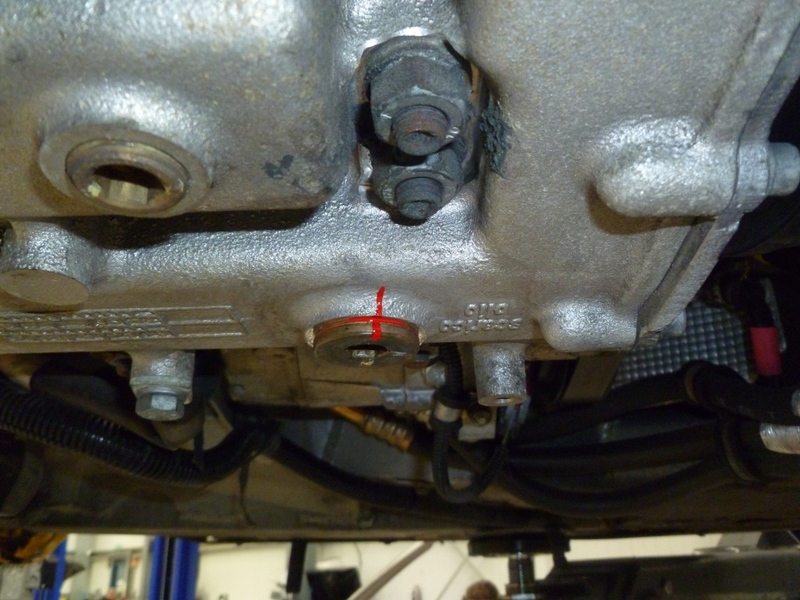 First the front sump plug…. The magnetic plug was check for particles, new washers were fitted and then the plugs torqued back up. A little paint to provide witness marks was also added. 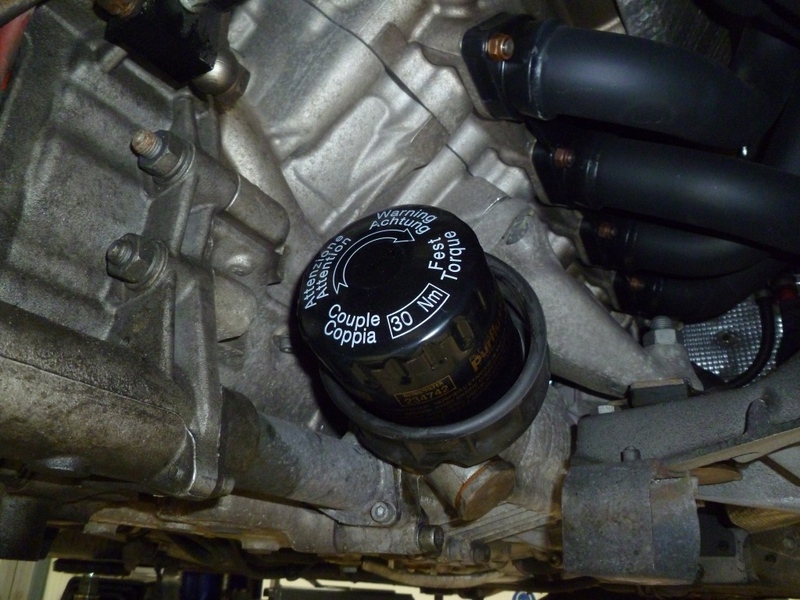 A new oil filter was fitted and torqued up. 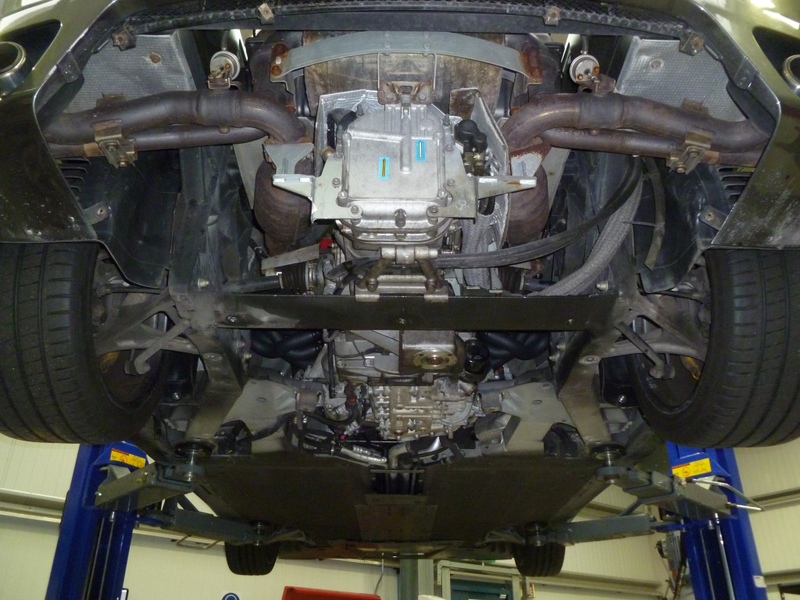 Turing our attention to the top of the car, we used a boroscope to check the integrity of the manifold gaskets (a weak spot on both the 360 and F430). Fresh oil was put in, Shell Helix 5W40. 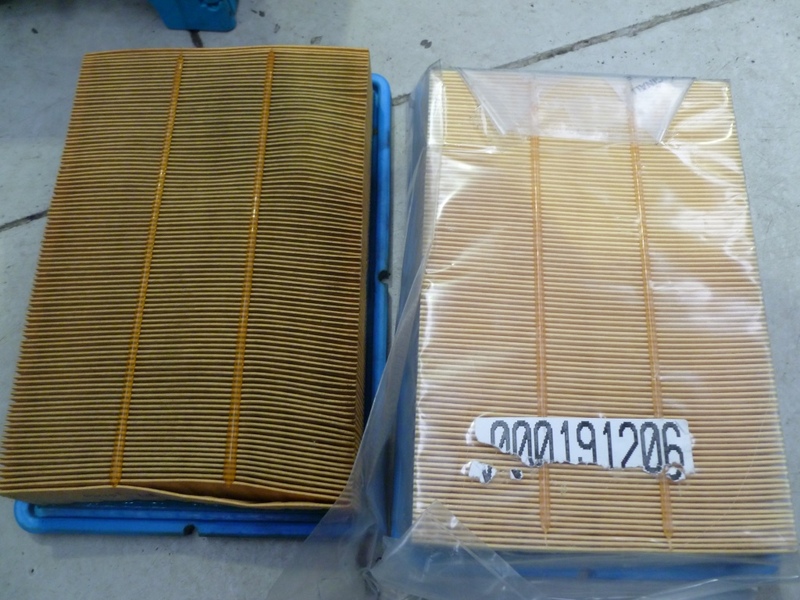 Air filters next – we were also disappointed to learn that these hadn’t been changed recently either…. 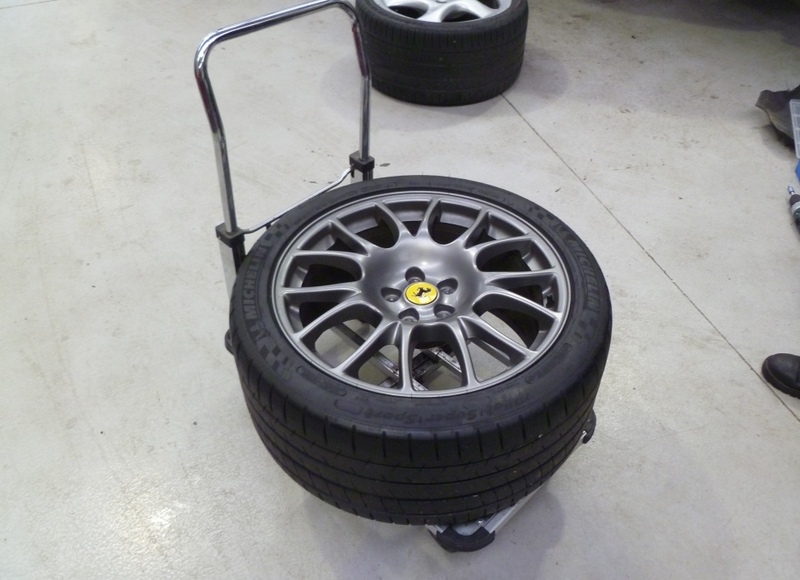 The road wheels were refitted and the tyre pressures checked. The undertray and diffuser were put back on. The wheel bolts were torqued up to 95Nm. The F1 power unit was next. The fluid level was verified and the system checked for leaks. 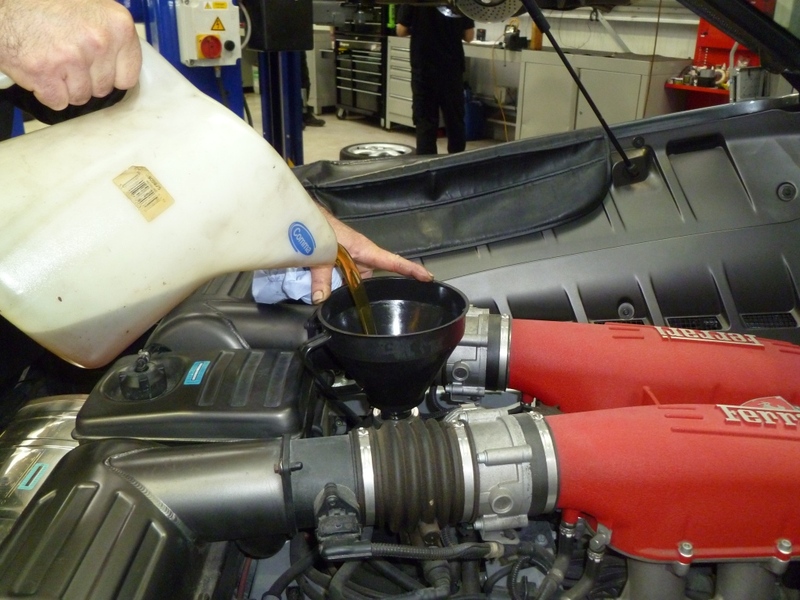 The coolant was checked for strength – no issues here since I had changed it recently. 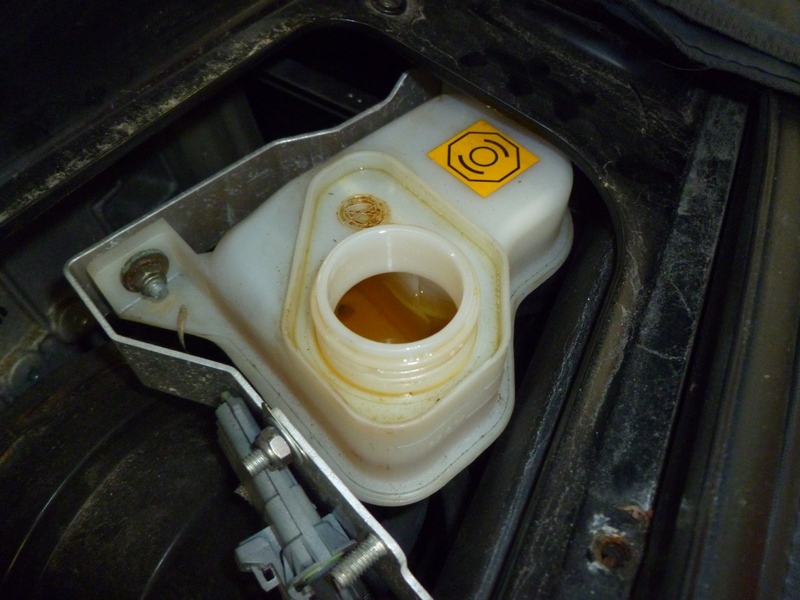 The final level check was the PAS fluid. 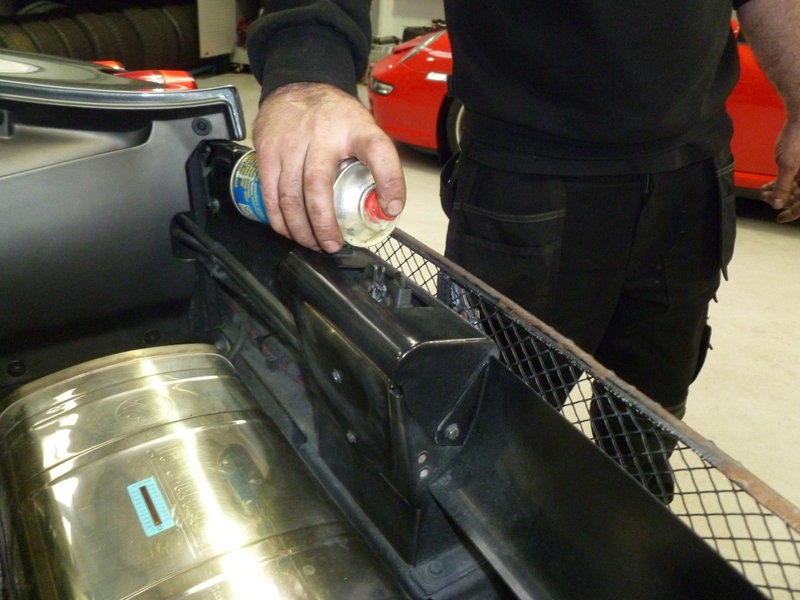 The windscreen washer fluid was topped up. The latches for the doors, front boot and rear hatch were greased as well as the door hinges and check straps. Before taking the car out for a road test the operation of the lights were all checked. 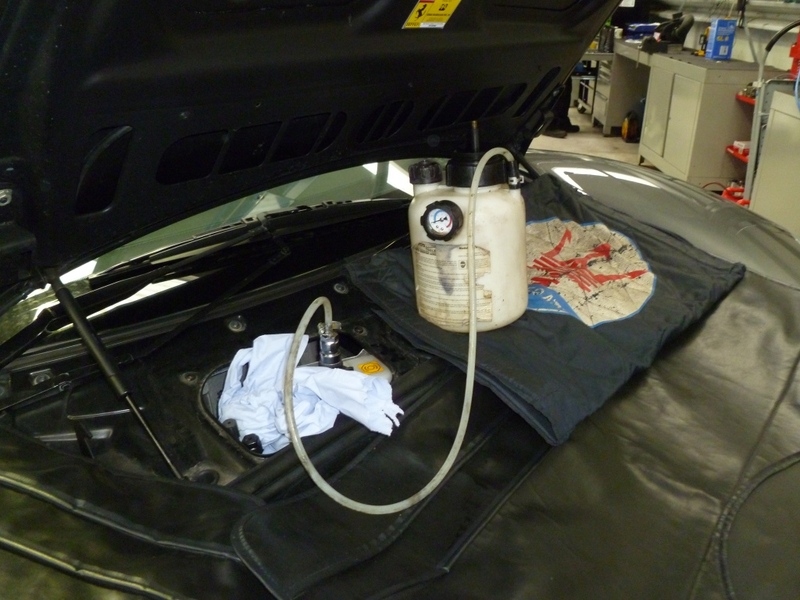 The car was then taken out on the road and brought up to operating temperature. A short mix of slow and fast roads were driven before bringing the car back to the workshop. 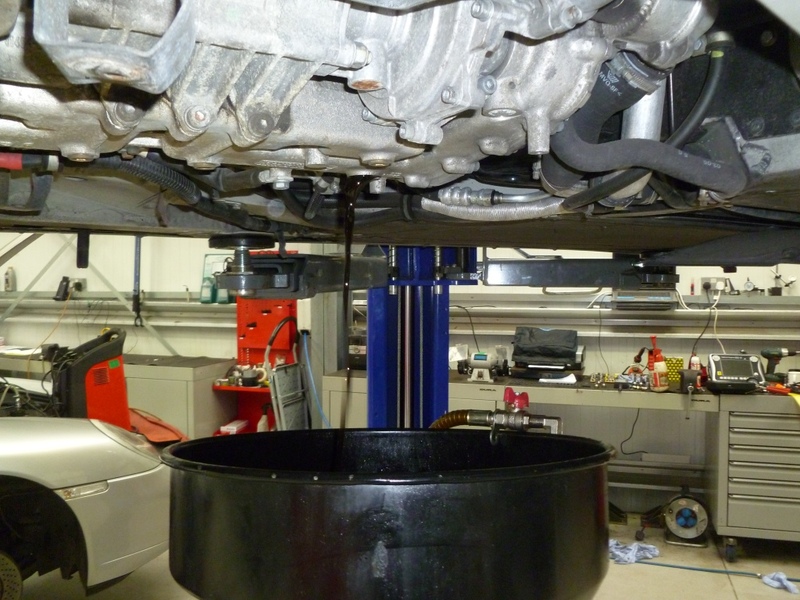 The oil was topped off and the car put back on the SD3 machine to check for any new errors. Finally, the car went to the valet bay for a wash and vacuum. All of this took about eight hours – some of this was spent chatting but most of the time Ed was working on the car. 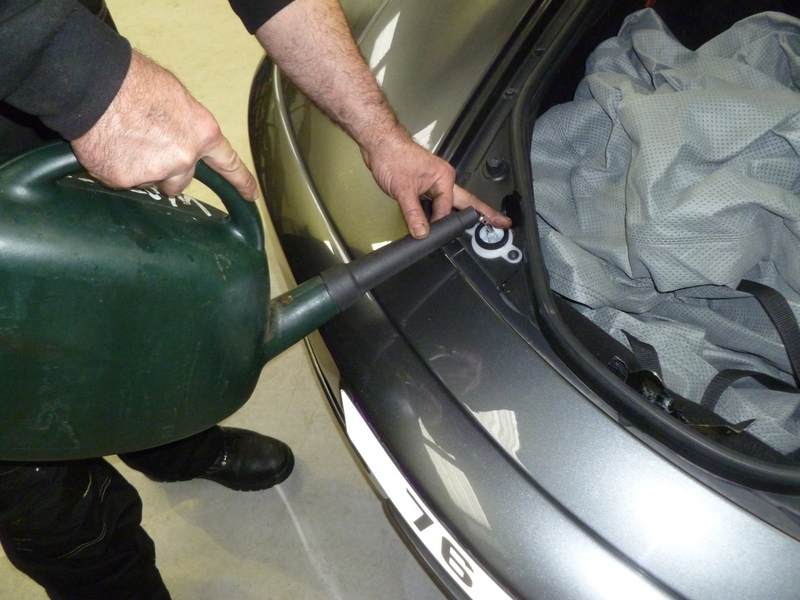 I consider the relatively small price of an annual service to be exceptional value if you can get someone who has an expert knowledge of the tipo to spend this much time looking over your car. My own personal opinion is to value a quality independent stamp over that of a franchised dealer (even more so given the state of the brake fluid and air filters). I suppose I will lose a little value from stopping the FFSH but not as much as servicing it myself. I see that on the 430 they changed the design so that you can access the transmission without removing the rear bumper as on the 360. Yes, it is a far better design. No more constantly removing the bumper to work on the back of the car any more! Apparently having the Ferrari service records does not mean that the service was actual done as evidenced by what Ed Blasi’s inspection revealed. 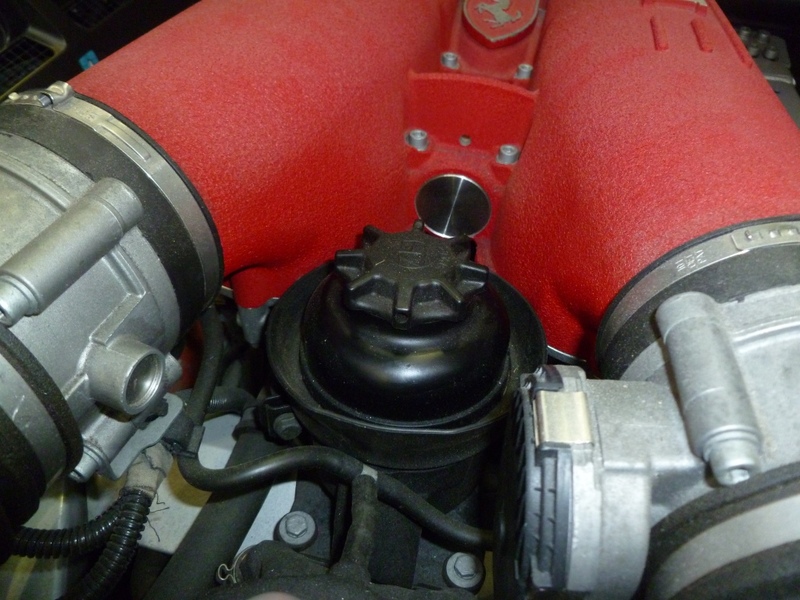 Doing the simple maintenance yourself and documenting your work would seem as reliable as having Ferrari stamps. 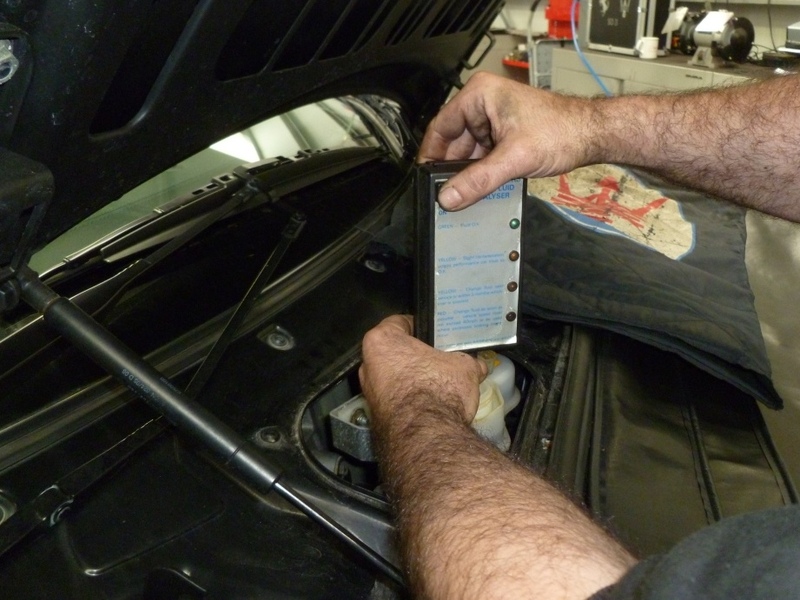 When it comes to selling the car you can truthfully explain to the buyer what has been done. 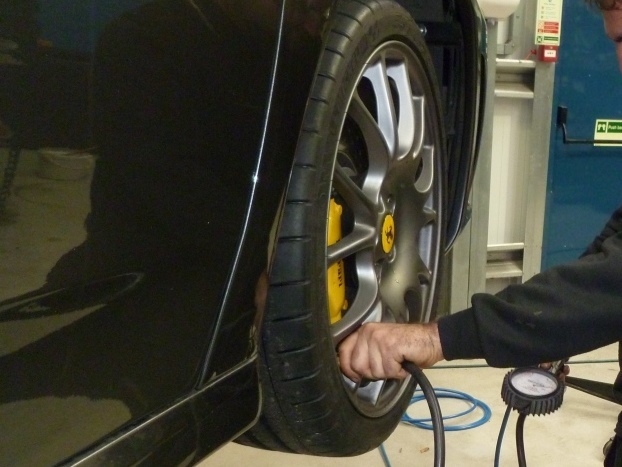 Finding an honest service technician, whether he works for a Ferrari dealer or an independent, for the major services is a difficult task. 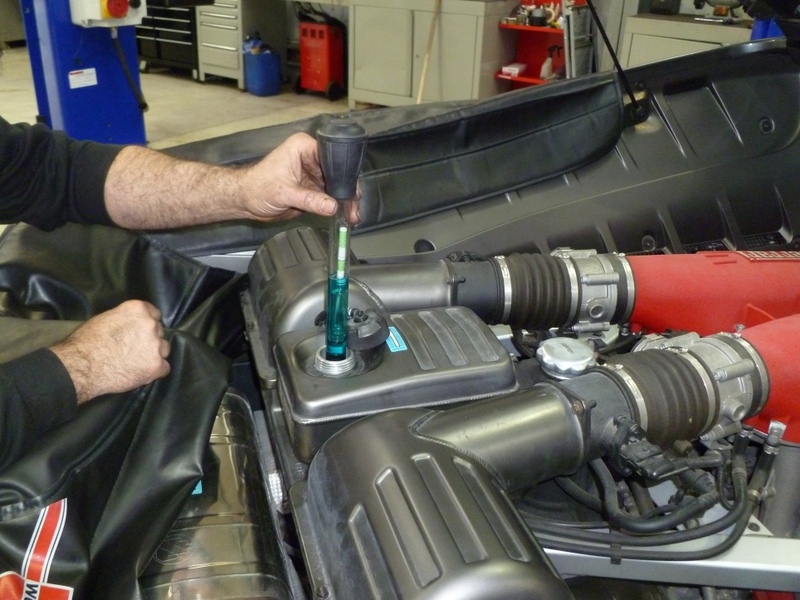 The problem with DIY servicing is that it will undoubtedly narrow your market when the time comes to sell. Also, I think it is better to have a second pair of eyes on your work. I know of people who take their cars to franchised dealers for the stamp and do the service again themselves! I agree, a trusted technician is worth their weight in gold.